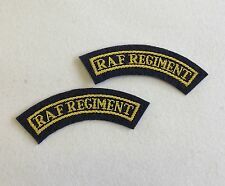 LATEST ISSUE RAF BLUE PERSONAL CLOTHING SYSTEM NEW COMBAT SHIRT (B). 18mm Strap - Official NATO Product. 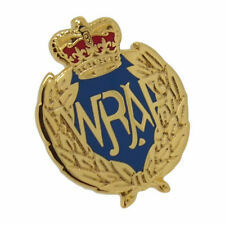 Royal Air Force - RAF - Staybrite - Staybright Cap Badge - Queen’s Crown - QC. Condition is Used. 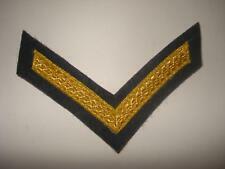 Dispatched with Royal Mail 2nd Class Large Letter. 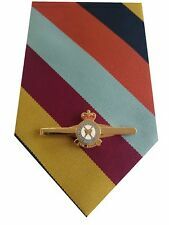 Army Officers Silk No2 Dress Tie. 18mm Strap - Official NATO Product. Royal Engineers Watch Strap. For Sale, isMilitary Issue Windproof Jacket in the DPM Woodland camo pattern. This model is fairly rare, jacket (hood-less) version of the windproof smock (issued 2000-2005). Features; windproof fabric, 6 large pockets, draw cord waist and hem, cuff velcro adjusters. 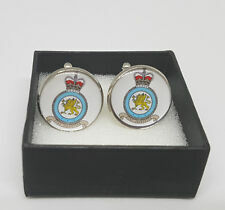 ROYAL AIR FORCE MANS BEST DRESS TROUSERS. 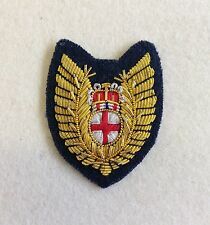 A Very Good Condition Royal Air Force Mans Best Dress No:1 Trousers.